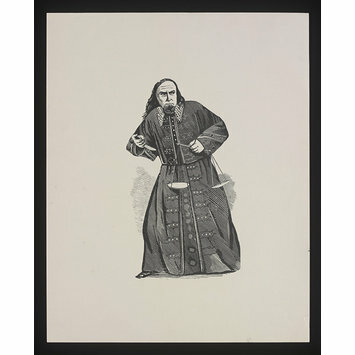 Wood block print depicting the character of Shylock in The Merchant of Venice, printed 1939. Woodblock print depicting the character of Shylock. The print was made in 1939 from a wood block in the possession of Raymond Mander.